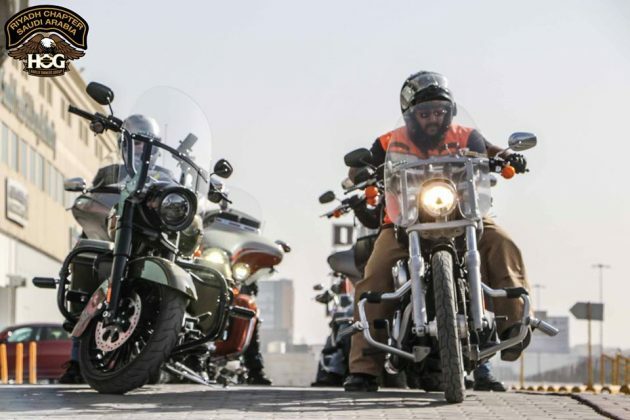 Harley-Davidson has been in Saudi Arabia since 1998 in Dhahran and is currently present in some cities such as Riyadh, Jeddah, Dhahran and Jubail. 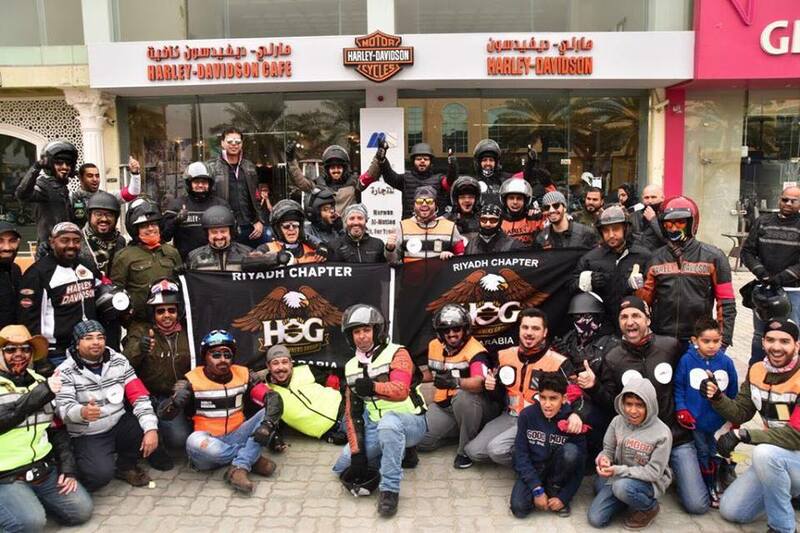 HYG (Harley Owners Group) Riyadh began in 2004, with the arrival of Harley Davidson in the city to the joy of many motorcyclists. The number of members is always growing and there are now more than 200 members. 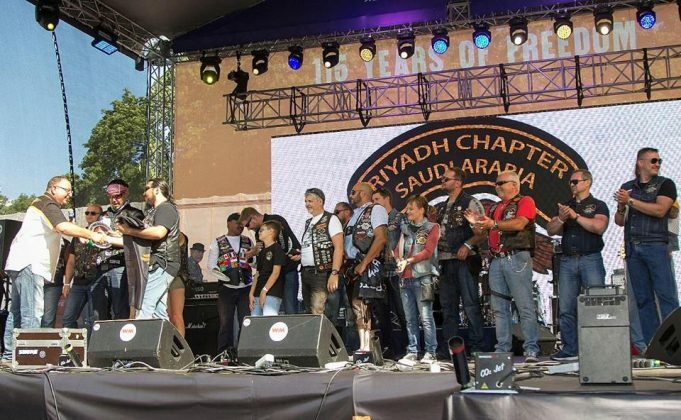 The Ladies of Harley (LOH) has 15 women members, who participate in a large number of events, such as safety lectures or family events, and often family events organized by women. 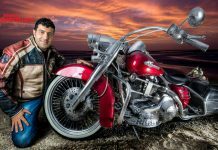 Officially, women have won this year the right to drive cars and motorcycles, this was much celebrated by the country, they also won the right to go to football stadiums and many other achievements are coming to a country that is modernizing itself every day: “2018 is a new year for women, as they have earned the right to drive cars and motorcycles. 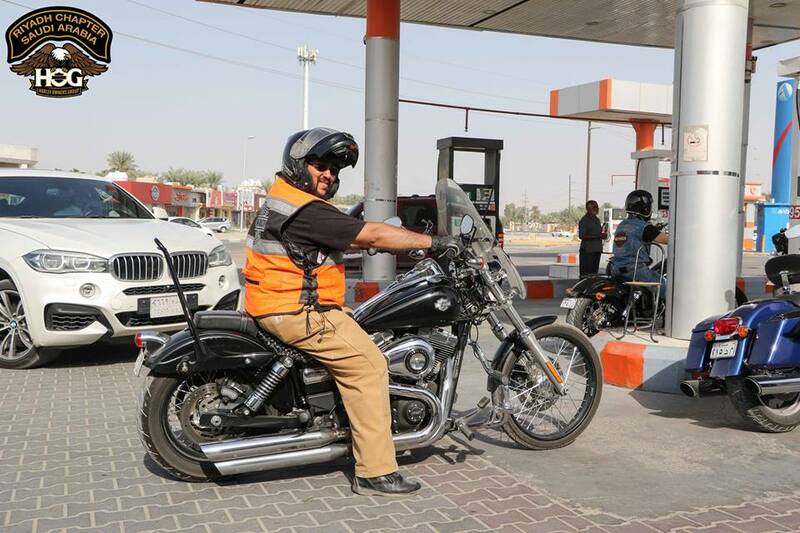 They may withdraw a license from the Traffic Police Department. 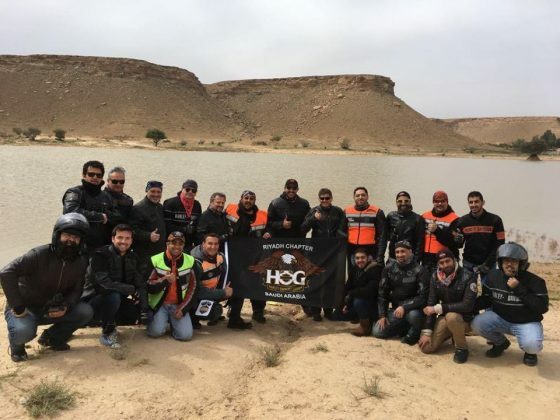 And if they have a license there’s nothing to stop them from driving, “explains Ehab Alibrahem, Membership Officer and Lead Road Captain of the HOG and Migration Commander and several roles in the group. 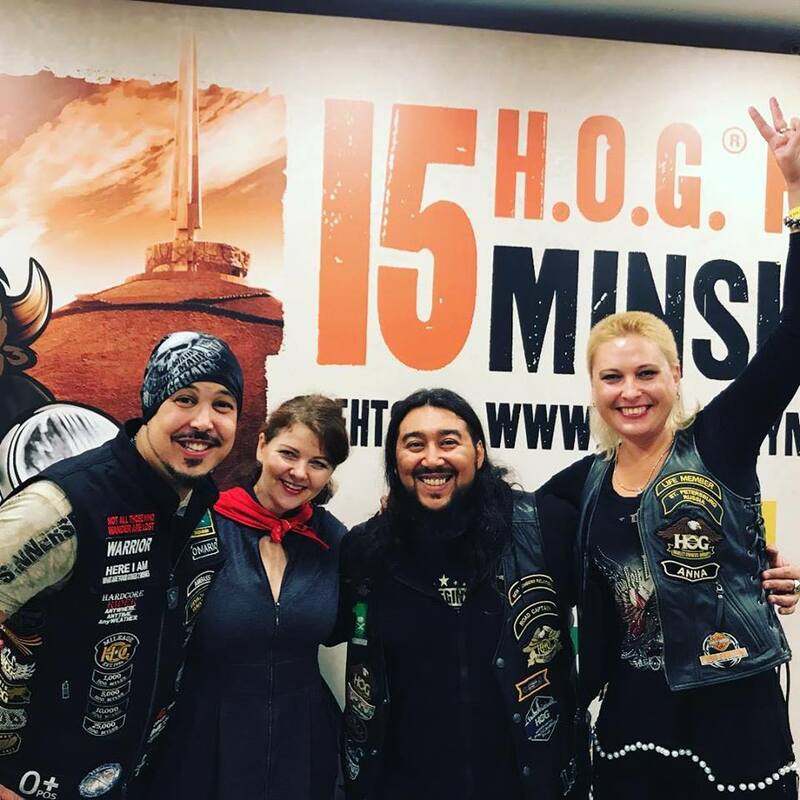 we have breakfast, dinner or just coffee at the Harley-Davidson Motorcycle Showroom or we have many activities and meetings at the HOG Club House. We have a long walk each month but I can say that we are preparing a great event to celebrate the 15th anniversary of Harley Davidson Riyadh, “explains Ehab. 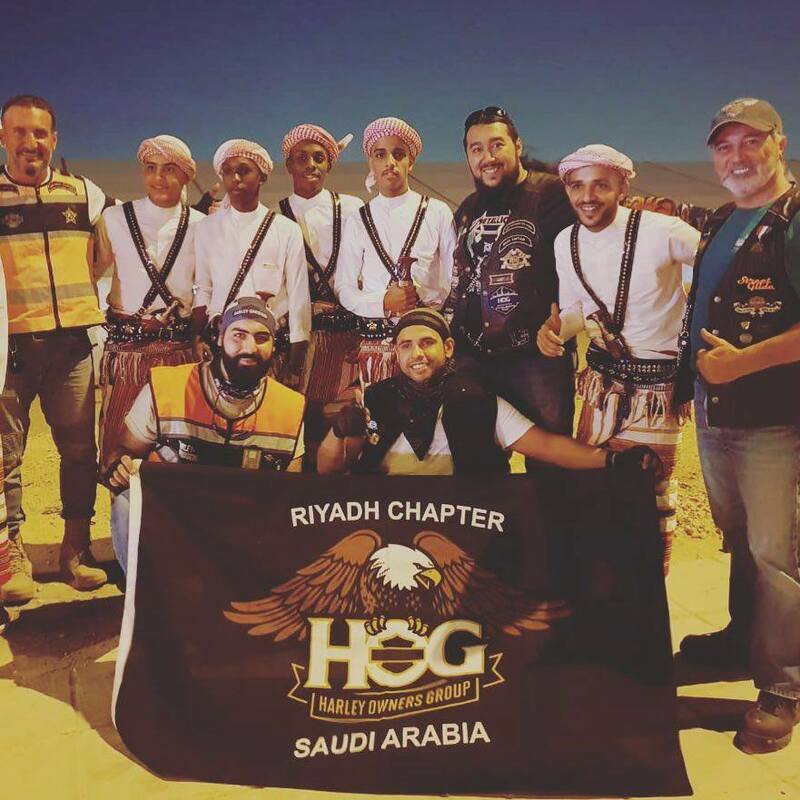 The board of HOG Chappter Riyadh is as follows: Mohammed Eid (Director), Hassan Aloraini (Secretary Officer), Ahmaed Adada (Head Road Captain), Ehab Alibrahem (Membership Officer & Lead Road Captain), Bader Almisfer Tariq (Activity Officer), Antria Dimaki Panagiotou (Activity Officer), Taiseer Al-ratrout (Public Relations), Rany Zammar (Historian Officer), Rayed Alfaraj (Social Media Officers), Abdulrahim Alsharbaji (Photographer Officer), Mishal Alrasheed ), Abdulrahman Nagshabandi (Tresurer), Omar Al-Sheikh (Ambassador), Waleed Al-housain (Support Officer), Abdulfatah Taleb (Support) and Obay Aljerian (Webmaster Officer). 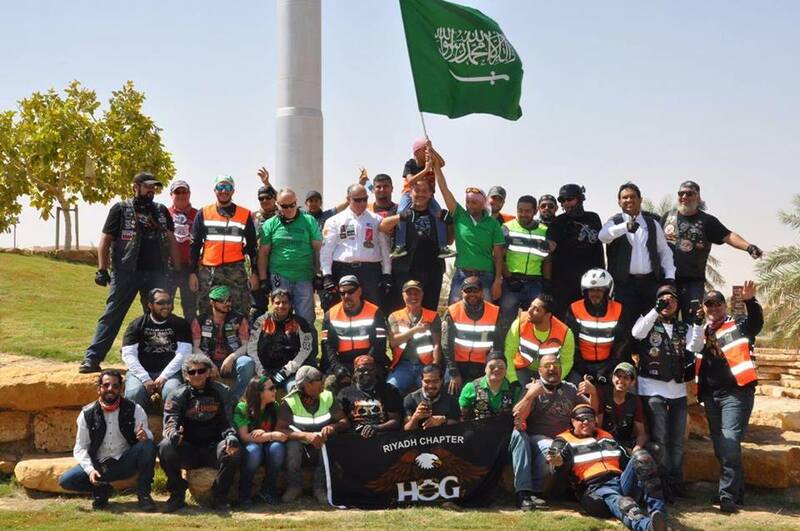 In September it was the anniversary of Saudi Arabia, between the 20th and 23rd there were great celebrations in the country and in Riyadh great events took place: “we at the HOG made a beautiful parade for the children, we had carnivals and beautiful social events on all sides of the community and also fireworks, and this year we participated with the Carnival and also with the Sager Aljazeera Museum, and a parade organized by SAMF (Saudi Arabia Motor Federation). We are convinced that we are part of the community and we should contribute even a small part to drawing a smile on the faces of the children and leave a beautiful impression in your memory. 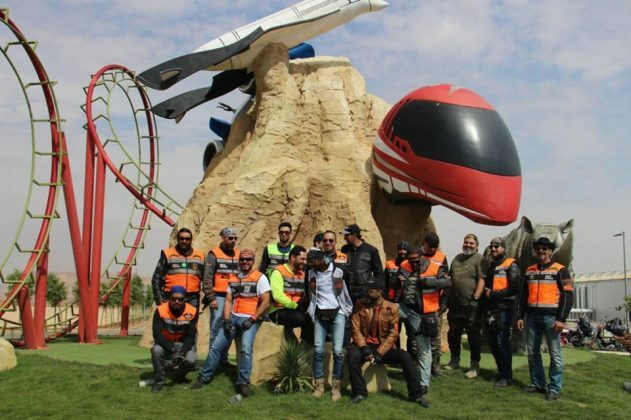 The Saudi Arabia Museum Sager Aljazeera is always looking for the new and everything that attracts people to participate in the events, we are a small part of it. In addition, during the celebrations of Saudi Arabia Day, SAMF had a great parade with the participation of all motorcyclists present from other groups, in addition to the HOG. 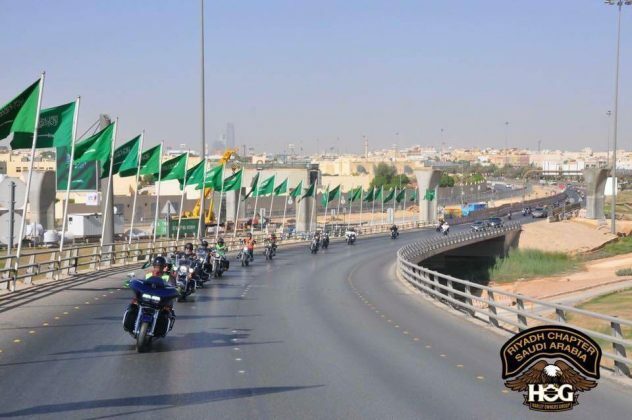 This parade brought together about 160 motorcyclists, the route was in Riyadh passing by the main highways and roads of north to the south of the city in a route of 50 kms. All the celebrations were open to all people, children, young people, men and women, “says Ehab. 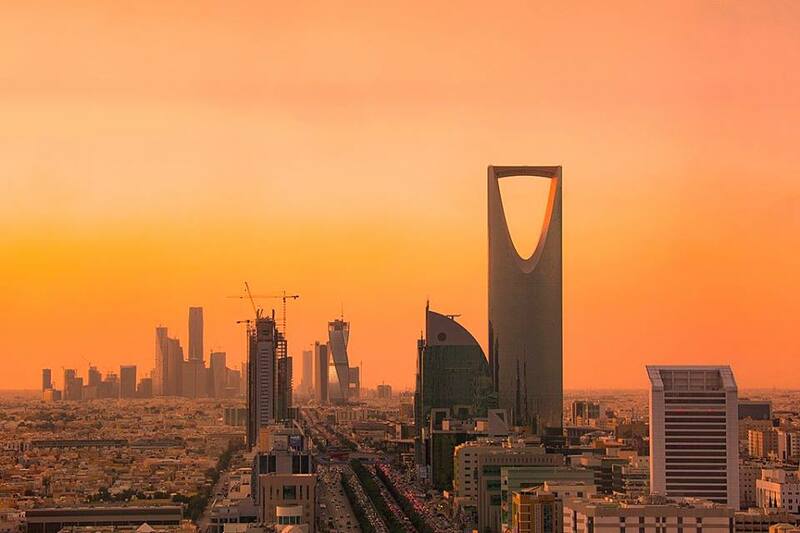 Riyadh (literally means ‘the gardens’) is the capital of Saudi Arabia. It is the largest city in the country, located in the Arabian peninsula, its metropolitan area is home to approximately 7 million people. The city is located about 400 kilometers from the Persian Gulf, surrounded by desert. In summer the temperatures are very high, of approximately 50 degrees Celsius. The average maximum temperature in July is 43.5 ° C. Winters are mild with cool, windy nights. The general climate is arid, receiving very little rainfall. It is also known to have many dust storms. The dust is so dense that the visibility is less than 10 meters and it is difficult to breathe. 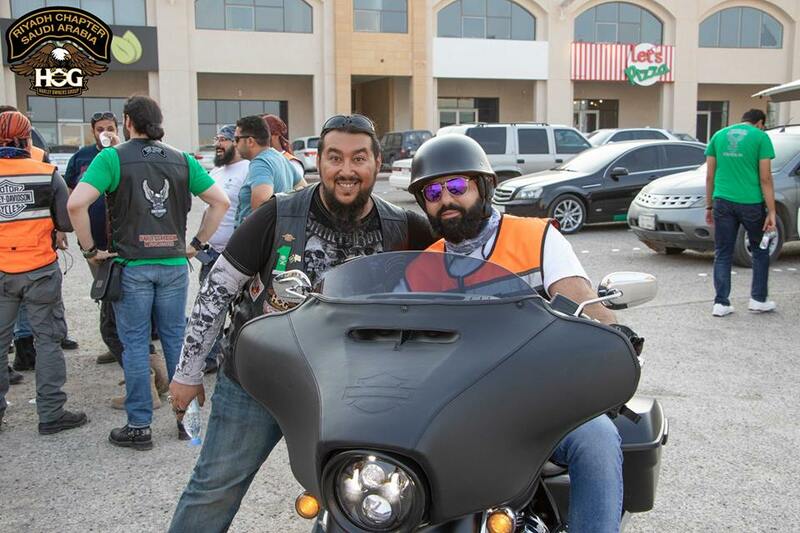 Captain Ehab is a long-time motorcyclist, since he was a kid he visited the Harley Davidson store, he always watched movies, documentaries, TV shows about Harley Davidson. He is also fond of Rock, Precisely Rock and Heavy Metal and other extreme variations of Metal like Hard Rock, Thrash Metal among others. His favorite bands are Metallica, Slayer, Motorhead and Sepultura, Brazilian band that should perform at Rock in Rio in Rio de Janeiro in 2019, an event that will once again be Metal’s special night with Iron Maiden in the line up and other super bands. 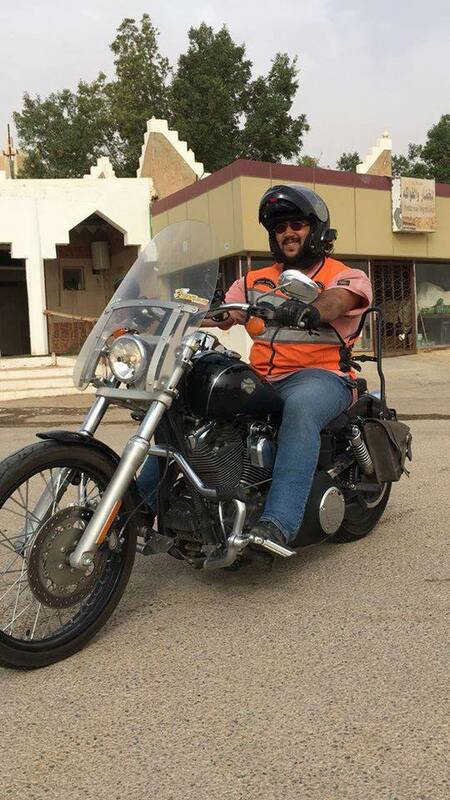 Years later, in 2015, he already grown up and independent Ehab decided to buy his first motorcycle, a Harley-Davidson. The model chosen was the Dyna Wide Glide 2015. He did not imagine that he would have large numbers of friends after having a Harley, but that happened. 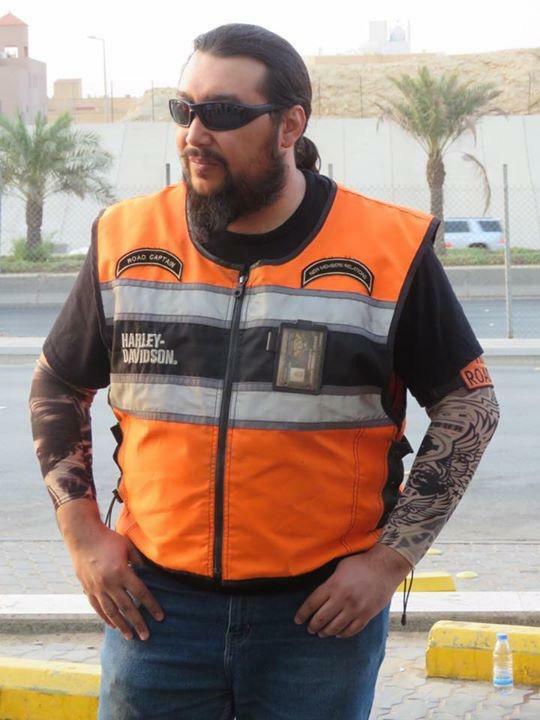 He, like many Harley lovers and owners, has many friends all over the planet, united by this passion called Harley Davidson, always united and ready to ride to a bar or run many miles in great adventure: “my main goal of owning the motorcycle is to take the highway and enjoy the longer journeys. 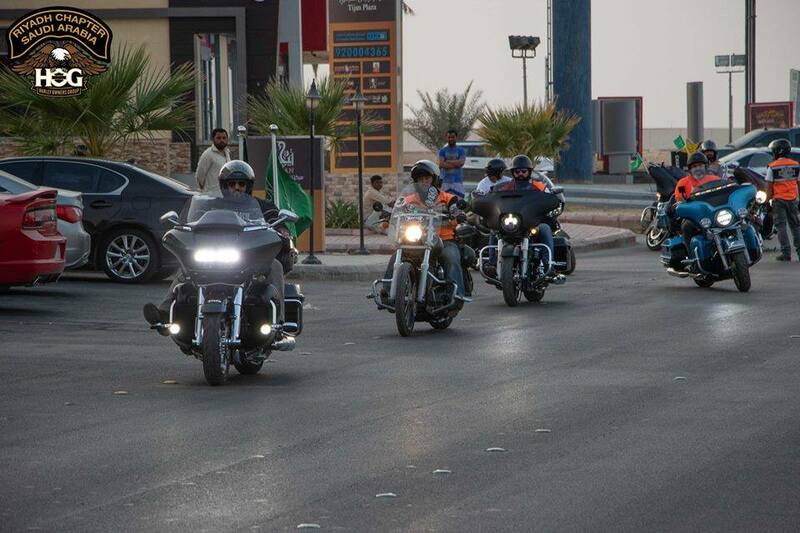 My first long journey was from Dubai, United Arab Emirates, to Riyadh, about 1000 km. The trip was a bit difficult and tiring. But today I can walk 24 hours non stop with ease. 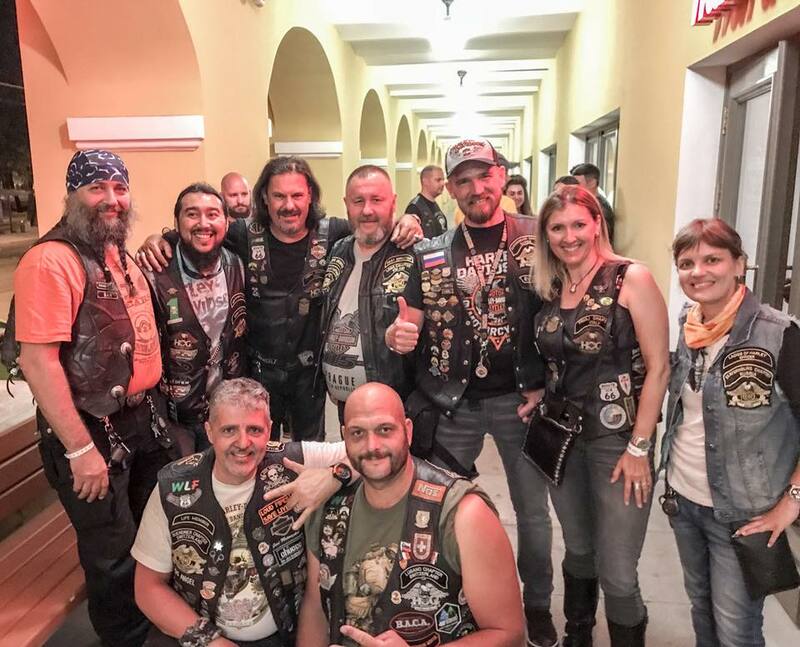 Every time I ride my bike, I find myself in a new adventure or a fun way to enjoy friends or new riders and more, I have many stories between happy or tired and funny that I do not remember. I can not describe my feelings when I reach the end of a long journey. I like the long walks. I travel a lot between the Gulf states (Saudi Arabia, Bahrain, United Arab Emirates, Qatar and Oman). I did on my motorcycle almost 62140 miles (100,000 km). Thank God I never had major problems with my Harley. As you know, in Arabia, we are a desert land, so when I travel, sometimes the hubub, the wind and the dust come in, and that makes it difficult to ride a motorcycle. My plans for long trips to 2019 is to go to Europe; 2020 for the USA and why not, 2021, for Brazil. Or maybe change the plans and go to Brazil in 2019 to shoot Harley and participate in Rock in Rio, see the band Sepultura, and know country, “says Ehab. 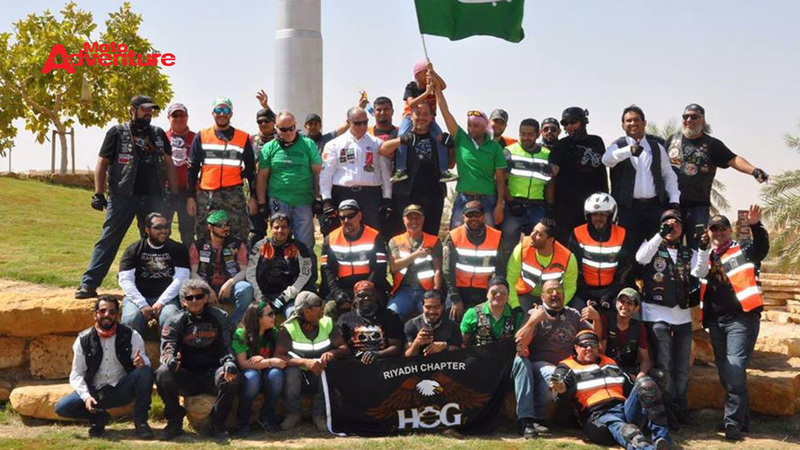 HOG always participates officially in the bog events of HOGs from other countries in the region and events held by other groups. There is always great harmony and unity among all. In addition, HOG also participates in social activities and as Ehab said “we are part of a community and we must contribute to the well being of people, even if in small help” and we should always leave joy and good impression in beautiful attitudes where we passed. 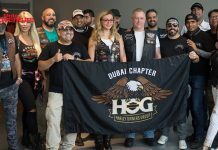 The Harley Owners Group was created in 1983 by Harley-Davidson as a way to build long-lasting relationships with Harley-Davidson customers, creating unique ties between the company, its employees and consumers, as well as the Ladies of Harley (LOH) HOG, designed to encourage women to be more active in HOG. 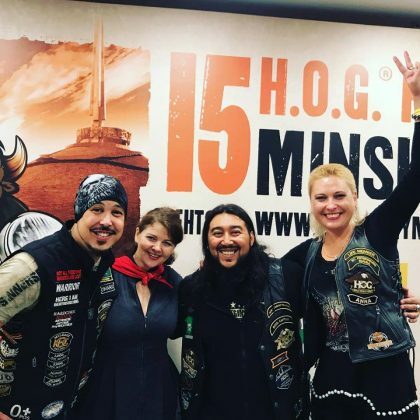 The LOH aims to provide support and motivation for women to drive their bikes, and for that, the Ladies of Harley also has special events for women to get together and fly their machines. 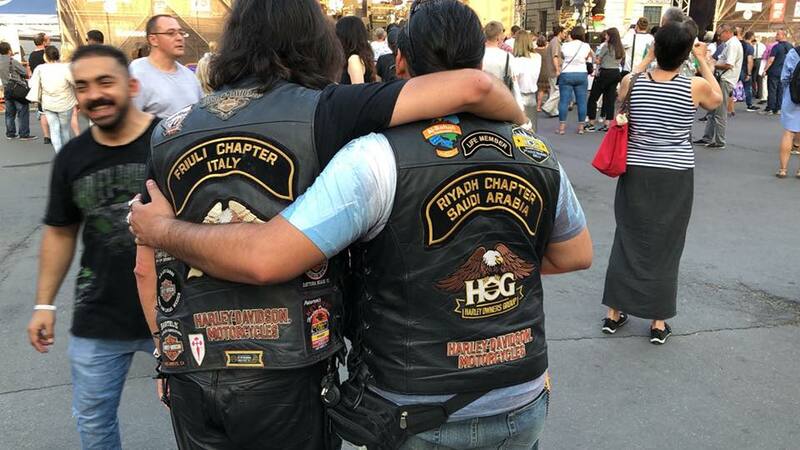 The two clubs are present in all Harley stores across the globe and, to be a member, the Man or woman biker only needs to have a Harley Davidson of any year. 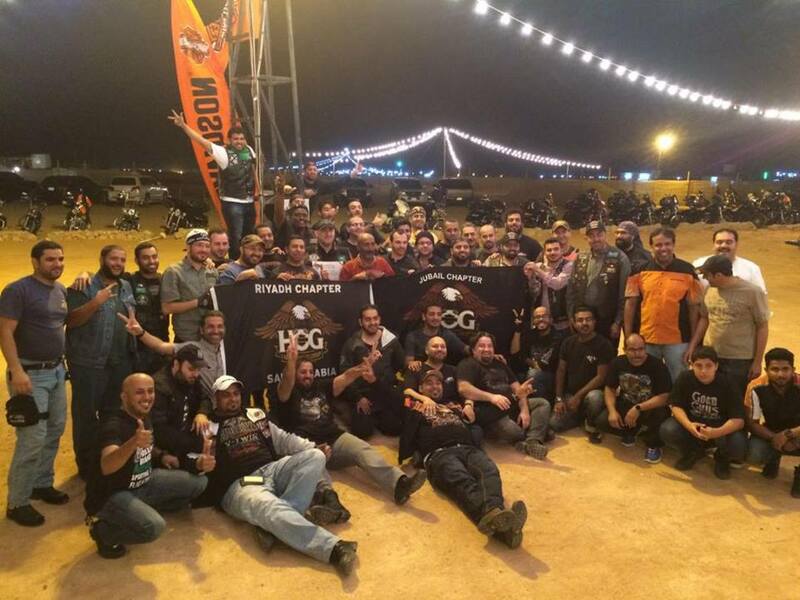 Membership can be made via Harley’s website from any country or directly in stores. 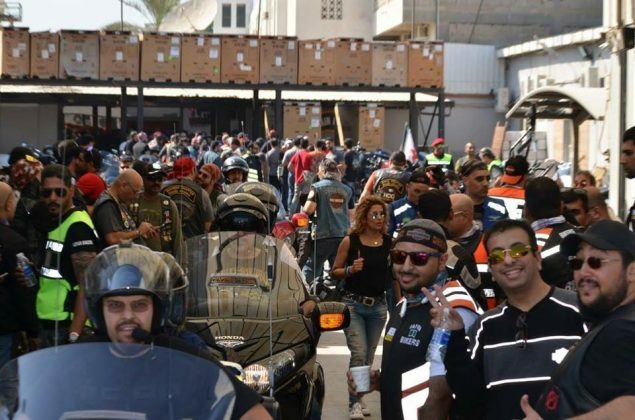 Ehab Alibrahem knows nothing about Brazil and said that he did not imagine that Harley Davidson would be present in the country. 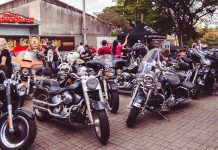 But to your delight Brazil has Rock and Rio and is the second Harley-Davison market, outside the USA, here, it is present in many cities, we have 115 dealers. The bald eagle is present in almost every state. 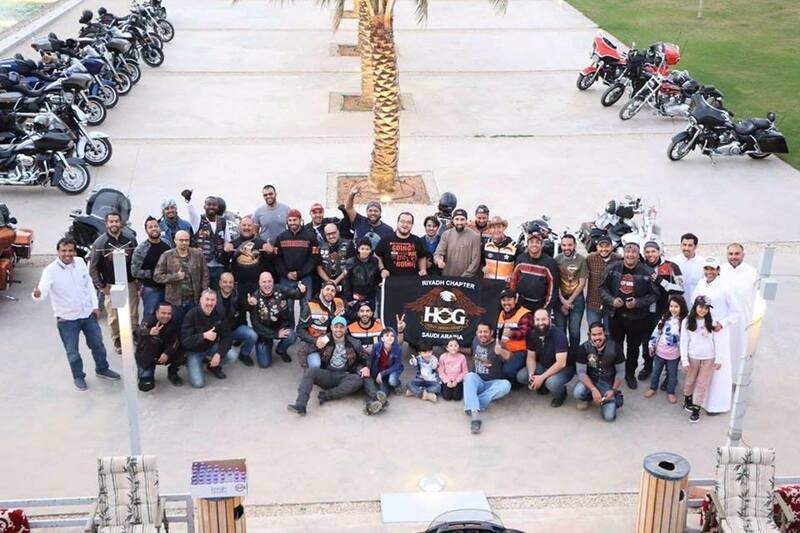 In addition, BR is the only country where Harley has a motorcycle assembly plant outside the USA. The factory is located in the Amazon region, in Manaus, a fantastic region that houses the largest forest on the planet, the enchanting and mysterious Amazon. 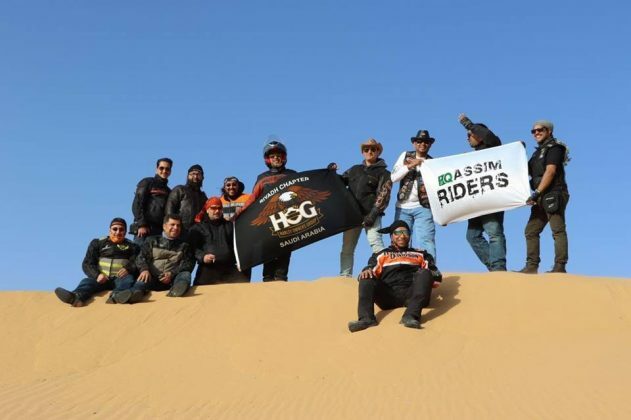 Brazil is undoubtedly a noble destination for all motorcyclists who love adventure, nature and cheerful people and very receptive, here everyone is welcome. 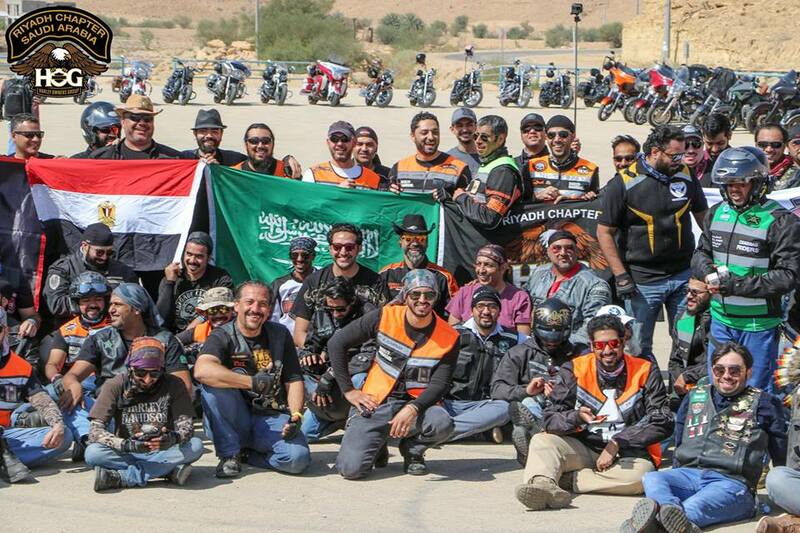 Love and respect, always united by freedom and adventure on two wheels with Harley Davidson and other great brands. 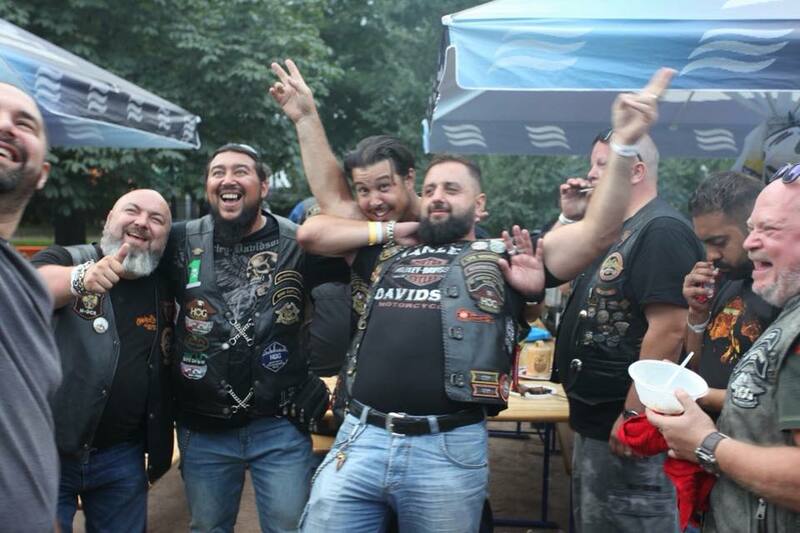 We are all “one” in this biker universe, on this beautiful planet! I would like to thank HOG Riyadh, in particular, Captain Ehab Alibrahem for helping in the production of this report and welcome to Brazil whenever you wish to come.